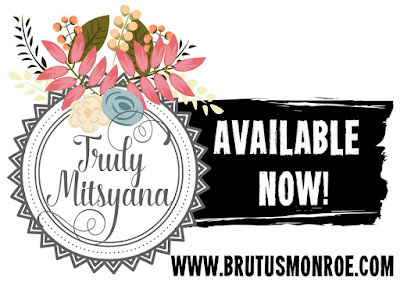 Up On Tippy Toes: MY NEW DIES ARE NOW AVAILABLE FOR PRE-ORDER!!! These have been updated to NOW SHIPPING! 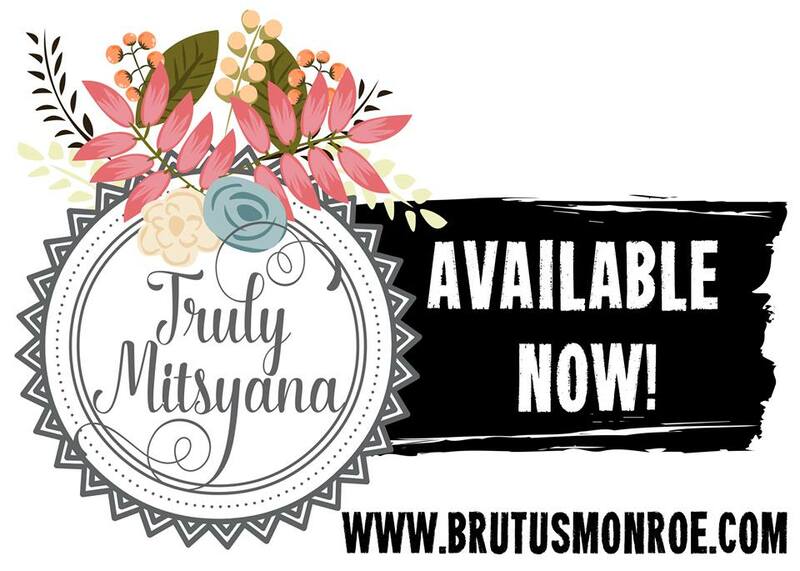 Ever since I started my crafting journey several years ago, I always dreamed of being able to design and create my own dies.Well, after months of preparations, I'm so excited and proud to finally say that my die line is now available for Pre-Order exclusively from Brutus/Monroe!! 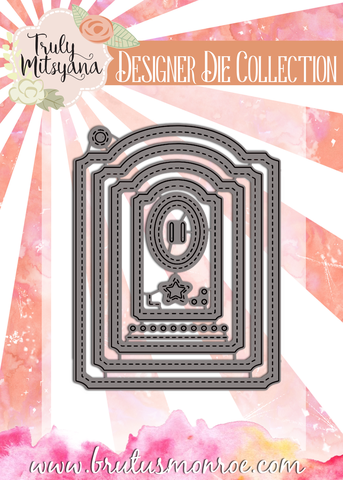 This 12 piece tag die set was designed with card makers and pocket letter enthusiasts in mind. The largest tag is a standard A2/ postcard size and makes for an excellent card base. The smallest tag makes the perfect pocket-letter/ ATC mat..
Also included are two additonal tags for a variety of paper crafting needs. This set also includes a stand alone stitch -lines & eyelet holes die. These will allow you to run stitch lines or eyelets along your projects in lengths you would like starting from 2". And, if that wasn't exciting enough... I've also included corners to go with them for perfect corner alignment. In addition, is a separate stitched tag hole and a stitched star, so you can turn almost any die cut (from our sets or yours) into a tag. In the center of our set is the double stitched oval die. You can use this die to cut a stitched window or use it by it's self as a the stitched oval cut-out... or pair it with either stitched stitched hole or star to make an adorable tag. Last but not least, is the ribbon slots die. Die-cut once and you have slots for a standard knot or bow... or die-cut multiple times and thread your ribbon for an border effect. This set is packet full of possibilities!! You can purchase this set for PRE-ORDER here. 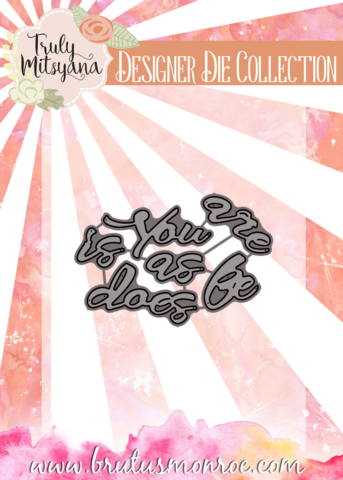 Introducing the Marquee Text and Embracing you die sets. These sets were designed to work with each other. You can mix-n-match the script words with the marquee texts to give you a variety of sentiment options while being encouraging and supportive. 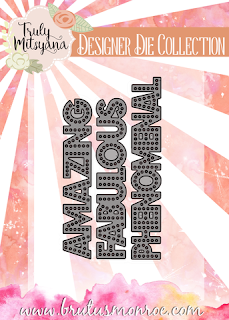 These are BOLD dies that quickly draw the eye onto any card or layout. You can purchase these sets for PRE-ORDER here and here. These die sets are just the start to the new line and I am so excited to have this opportunity! I can't wait to show you what is coming up next!! Hope you all have a crafty day! !